Afghan-American author Khaled Hosseini established his career with the phenomenally successful debut novel The Kite Runner. 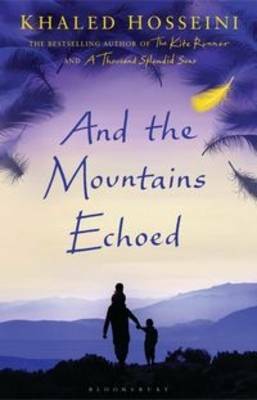 This, along with the novels A Thousand Splendid Suns and And the Mountains Echoed have been published in over 70 countries and sold over 40 million copies worldwide. In 2018 Hosseini published Sea Prayer, a story inspired by the suffering of those escaping the Syrian conflict. I found The Kite Runner and A Thousand Splendid Suns amazing-but brutal-stories. I had never before read about Afghanistan and these stories took me away into another world. Abdullah's father tells a story at bedtime, the next day his life changes and so does his sister, Pari's. An exquisitely crafted novel that circles through the lives of a family and the people with whom they interact over several decades.